Diagnosing problems with your BMW is impossible unless you use a specific diagnostic BMW scan tool. BMWs have an unusual configuration in the OBD-II serial parts. Thus, they don’t work consistently with a non-BMW scan tool. The OBD-II system gives extra information that can be read by a BMW diagnostic tool that has the specific software. In this guide, you will get to read the reviews of seven BMW scan tools. These are considered to be the best on the market based on their Amazon ratings and customer reviews. Let’s see why they are recommended! Want to read more about the whole 7 Scan Tools in the list? Let’s dive into the details now and learn why these are the best BMW Scan Tools. 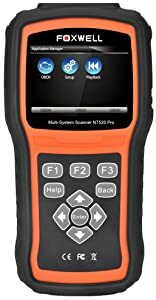 The NT510 is a standalone, feature-rich BMW scan tool that is available at a reasonable price. It is simple to use, user-friendly and can give you access to BMW-specific information. Since it is a handheld unit, there is no need for a laptop. 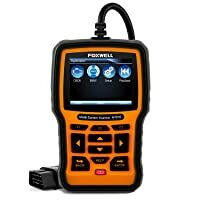 Therefore, in the long run, this Foxwell BMW code reader saves hassle and money! The NT510 BMW code reader is compatible with various BMW models ranging from older 1987-1996 versions to the newer ones. It can also be used for vehicles by Rolls Royce and Mini. 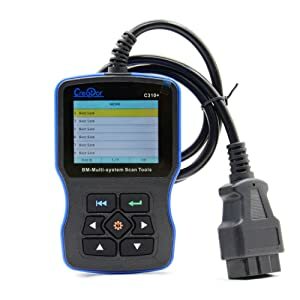 Furthermore, it can be used as a universal scanner for OBD I and OBD II ports to read or clear codes or for generic engine light checkups. The versatility of this tool is possible because its unique technology allows particular tests and functions. If you want to save money while diagnosing problems with your car, then this is a suitable tool. It has advanced features such as manufacturer-specific error codes and data stream viewer, making it an ideal tool for BMW owners. Moreover, it comes with a range of special functions that make this tool a must-have for those wanting to service their own BMWs. These include oil light information, battery registration, and brake de-activation. 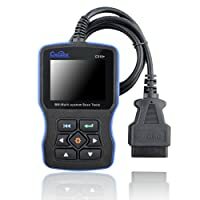 This BMW code reader is an inexpensive tool that is suitable for all BMW cars manufactured after 2000. On one hand, it is not as feature-rich as other models are. However, this tool does allow you to clear trouble codes and view diagnostic data in detail. Moreover, the free software patches via USB cable allows you to use the tool on future cars as well. This BMW code reader is compatible with a number of BMW models ranging from 2001 to 2017. The car models from 1997-2000 are compatible with this BMW code reader; however, a 20 pin adapter will be needed. The Maozua BMW code reader is suitable for all cars that support it. So, if you have a BMW model compatible with this tool and you don’t want to spend too much, then this is a good choice. It can read and clear BMW-specific fault codes. So, in case you are on a tight budget, the C310+ is an affordable option. C310+ OBD2 Auto Code Reader scanner is dedicated for BMW all series car scanner, design with easy handheld for auto shop, DIYers, Technicians. The BMW scan tool by Vgate is a tool which reads as well as clears trouble codes. It is a versatile tool which displays live data stream, vehicle version information, as well as graphs. Moreover, it also allows engine oil reset and clear adaptation. Not only is it portable and easy to use, but it also has a 2.8” LCD display screen. Thus, the C310+ BMW code reader is quite a handy tool. C310+ BMW code reader supports BMW model manufactured between 1997 and 2014. It is suitable for the body, chassis, and drive; the whole system. However, the models manufactured before 2000 need the 20 pin connector test. The tool is dedicated for all BMW car models from series ranging from 1997 to 2014. Since it is designed with easy handheld and easy to operate, it is suitable for technicians, DIYers, and auto shop owners. 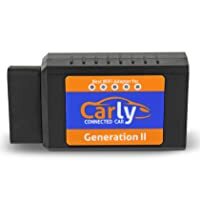 This device allows for thorough diagnostic and coding of your vehicle, with updates to the innovative OBD app streamed directly to provide new and innovative functions. This device can also be used for coding and diagnostics for BMW bikes when combined with the appropriate bike adapter. The Carly BMW Wifi Adapter lets you connect an app installed on your phone with your car’s computer. While there is no adapter with the pro app, you can still view the error codes. MW coding, you can reset the error codes. At the same time, you can also get access to advanced functionalities and diagnostic data as well. If you’re good with technology and want to see what’s going on with your car on the go, this is the ideal choice. Instead of using rubber buttons, you can use your phone’s interface. Since this BMW scan tool comes with an adapter and app both, access to data is more convenient. In fact, you can email the result to yourself too. So, if you need a budget-friendly wireless scanner which connects to your smartphone, this is an ideal choice. This amazing diagnostic scanner will allow you to run faster, more accurate diagnostics. Invest your savings and time in important things that you’ll remember! 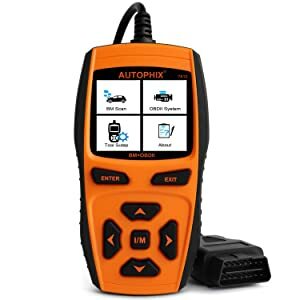 The Autophix 7810 is a professional BMW scan tool that supports various functions such as EPB, CBS reset, F Chassis, and battery management. Similarly, it can also read and clear codes from all systems like SRS, ABS, transmission, ECU reset, etc. Apart from being compatible with many BMW models, it can also work for vehicles from 1998 to 2017. It can work for Rolls Royce and Mini vehicles that have the OBDII 16PIN. The BMW troubleshooting tool is ideal for both shop owners as well as vehicle enthusiasts. It allows to run faster and accurate diagnostics, thus helping you save both time and money. The NT520 Pro, as the name suggests, is the upgraded version of the NT510 Pro and comes with improved hardware. It is a relatively affordable handheld BMW scan tool which promises comprehensive coverage. It has various features as well including access to body systems, chassis, and powertrain. Similarly, it also offers advanced functions like programming, adaption, and actuation. The NT520 BMW scan tool is compatible with both OBD I and OBD II vehicles. Primarily, it is made for the BMW 3 series. 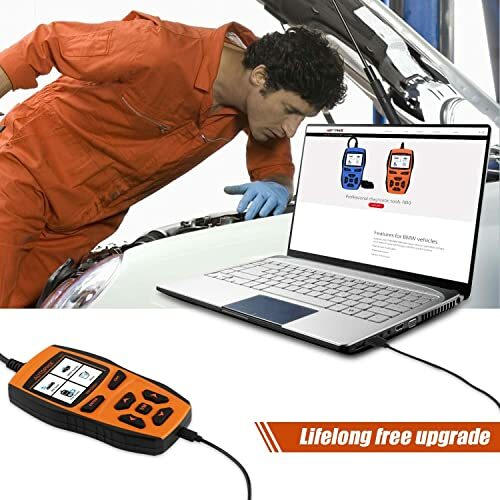 It provides OE-level diagnoses for various car models and supports commonly required service features as well. A cost-effective tool, this BMW diagnostic tool delivers OE-level diagnosis for all electronic systems. Thus, it is ideal for technicians, small garages, specialized garages, independent repairs, and car enthusiasts. ES910 is a handy professional BMW scanner.It supports most of the BMW vehicles between 1998 to 2001, and works on all models after 2001, including BMW, MINI, and Rolls- Royce vehicles. Fast detects Engine, ABS, Airbags, Auto Transmission, Instrument and other control systems. 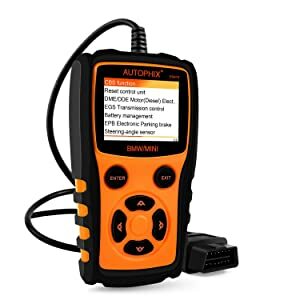 The Autophix S910 is another OBD II BMW scan tool that lets owners read as well as clear fault codes from various systems like IHKA, DDE, electronic parking brake, and ABS. One impressive feature of this BMW code reader is new battery registration. However, the feature failed to work on a 2006 BMW 5 series. The tool works for all BMW models from 2003 onwards. It will also work for a few BMW models made between 1998 and 2001. So, make sure you check your vehicle coverage before you purchase this BMW scan tool. The tool works for all BMW models from 2003 onwards. 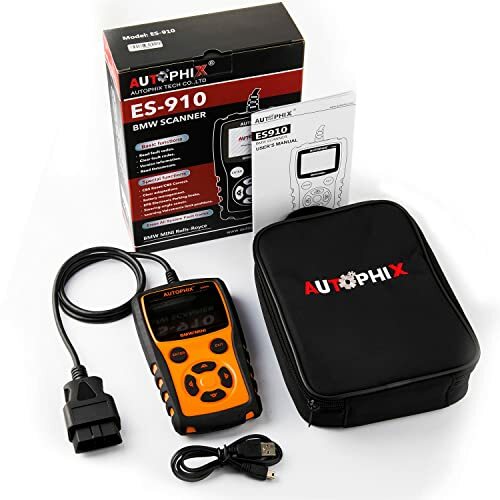 If you are looking for a decent BMW scan tool, then the Autophix ES910 is a good option. It allows you to read and clear fault codes from many systems and is easy to use too. Choose the BMW scan tool you think is right. You can pick an expensive tool which allows programming, or you can use a simple and affordable one. The bottom line is, a BMW scan tool can help save hassle, money, and time too. You won’t have to take your BMW to the dealership and pay extra to know the problem. Not sure which BMW scanner is best for your vehicle? You must buy a BMW scan tool that accesses the main control system of a vehicle to diagnose trouble codes. It must also be able to perform advanced functions as well. Not all BMW scan tools work for all models of BMW cars. For instance, some of the recent tools can’t clear or reset the codes for BMW models from the year 2000. Therefore, first read the compatibility of the tool first before you purchase it. It should read and clear trouble codes and perform special functions as well. These include I/M readiness, O2 sensors test, text live data, and graph live data. It should be able to diagnose trouble codes from various systems like transmission, Airbag, ABS, and engine. Additional features to look out for include oil service reset, coding and reprogramming, DPF, SAS, and EPB. While some BMW scan tools are quite expensive, you can find ones that are cheap too. How much you should spend on this tool comes down to your budget and how frequently you’ll be using it. If you have more frequent use, then you can invest in it. Otherwise, a cheap one that has all the features you need will work too.